Proofpoint Enterprise Archive solutions provide automated social media content supervision, remediation, and record retention - all from a common interface. Work for Proofpoint Enterprise Archive? 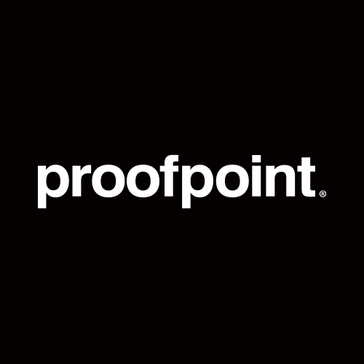 Learning about Proofpoint Enterprise Archive? "Proofpoint archive does the job, but the interface is lacking"
Each user has access to their own personal archives. It allows for a user to find emails that were deleted without requiring IT to find it. The interface isn't very impressive. The search features are pretty basic, but the advanced search has some good options. The archive service will handle the basics for sure. And if you want your end users having access to their own archives, this is a great option. But it is not super fancy, so don't expect anything amazing out of it. Single solution for email protection, archiving and secure mail. support is a bit lack luster documentation is a bit confusing as well. its a great solution for on premise archiving or off prem export. the gui is intuitive. What Enterprise Information Archiving solution do you use? PageFreezer is a SaaS (Software-as-a-Service) application that enables organizations and corporations of all sizes to permanently preserve website and social media content in evidentiary quality and then access those archives and replay them as if they were still live. Google Vault is a solution designed to allow users to retain, hold, search, and export data to support their organizations archiving and eDiscovery needs. Veritas Enterprise Vault is designed to help automate retention management, classification and supervision, while simplifying search and eDiscovery over unstructured data. IBM's Information Lifecycle Governance (ILG) is designed to help users manage their business information throughout its lifecycle. Global Relay offers messaging and archiving solutions for compliance. Retain provides unified archiving of all business communication, including email, Skype for Business, social media, and mobile communication data for case assessment, search, and eDiscovery. Databasix is a cloud-based record management solution (RMS) for FIRE/EMS agencies. Our goal is to streamline data and records into one centralized system, accessible by any device with an internet connection. Oracle StorageTek offers solutions for archiving and data protection designed to provide a template for combining discrete components, from Oracle and participating third parties, to solve industry-specific or general IT challenges. * We monitor all Proofpoint Enterprise Archive reviews to prevent fraudulent reviews and keep review quality high. We do not post reviews by company employees or direct competitors. Validated reviews require the user to submit a screenshot of the product containing their user ID, in order to verify a user is an actual user of the product. Hi there! Are you looking to implement a solution like Proofpoint Enterprise Archive?